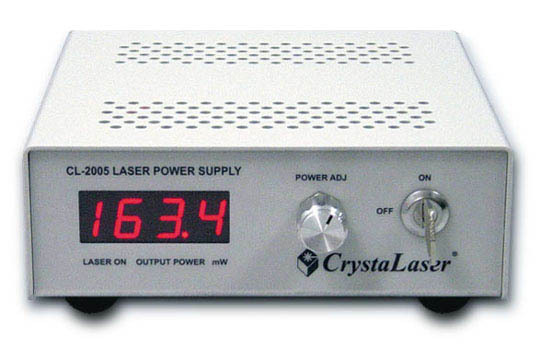 CrystaLaser, founded in 1995, located in Reno, Nevada, USA, is a leading manufacturer and designer of ultra-compact diode-pumped solid-state DPSS crystal laser systems. 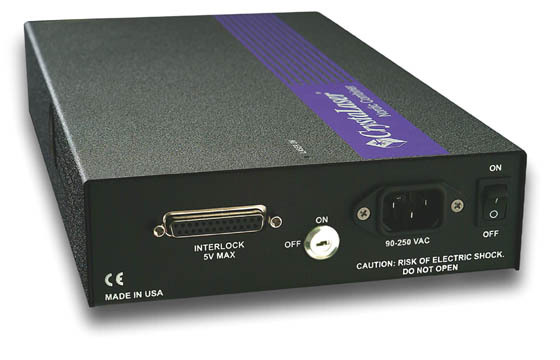 We design, manufacture, assembly and service the laser products in the USA. 300 mW, 561 nm and 555 nm CW yellow laser and 50 mW 593 nm CW orange laser. 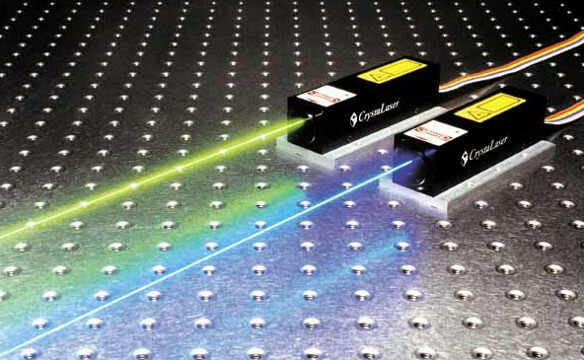 Single longitudinal mode (SLM) laser from UV violet blue laser to green, red and infrared laser with long coherence length. 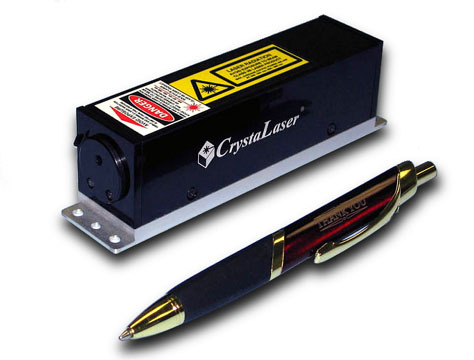 If you need special laser configuration or special OEM laser module, please contact CrystaLaser directly. 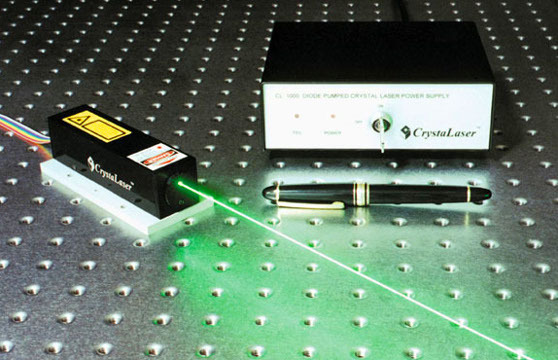 CrystaLaser has state of the art laser technologies, the experiences, the products and the people to help you succeed. 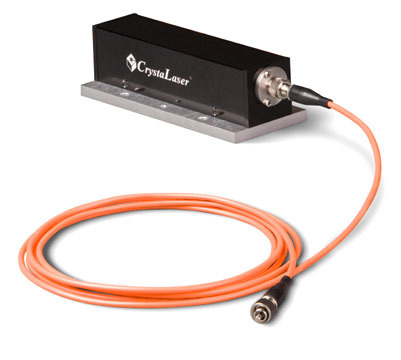 CrystaLaser provides turn-key laser solutions. The lasers feature with high laser efficiency, high reliability, high stability and excellent laser beam quality. The lasers are designed very easy to use, plug and play. 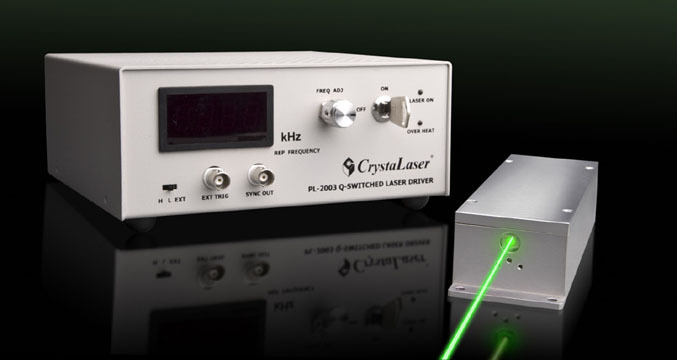 CrystaLaser manufactures compact diode-pumped solid-state DPSS crystal laser products including diode-pumped green laser, violet laser, blue laser, yellow laser, orange laser, red laser, infrared laser and ultraviolet UV Laser systems. 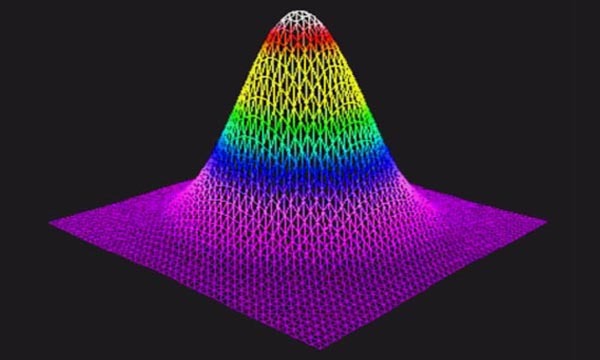 The Nd:YAG, Nd:YLF, Nd:YVO4, and SHG THG FHG of YAG, YLF and YVO4 lasers with true CW output and Q-switched pulsed output are for industrial instrumentation applications in holography, biomedical, fluorescence, neuroscience tools, reprographics, laser trapping, interferometry, semiconductor inspection and material processing. 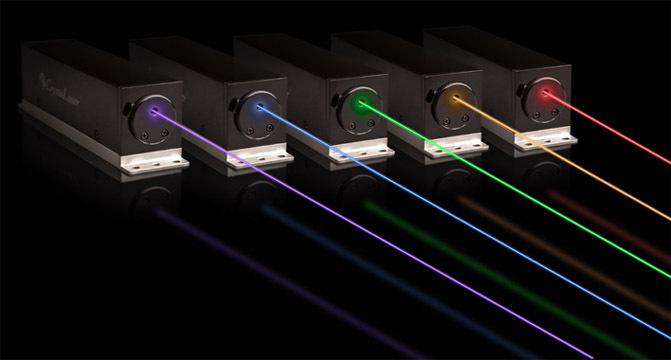 The diode-pumped solid state lasers are based on our proprietary laser cavity technology, which allows the lasers to operate in a single longitudinal mode and single TEMoo mode with low noise and extremely low power consumption in a compact laser housing. * For more information, please access the online Information Request Form and download catalog.